Japan is a country of hot springs, having about 3,000 hot spring resorts. 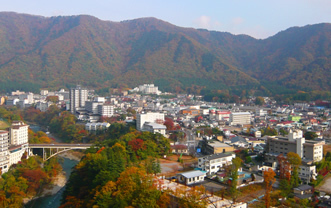 Among them, the Nikko area has been one of the most loved and popular hot spring resort and summer retreat, because of its cool climate in summer and its geographical scale with ups and downs extending from the downtown area at about 200 meter elevation to the mountain range at about 2,000 meter elevation. For Japanese who love beautful scenes in nature, a hot spring resort must be a place where they can be close to the nature away from the noise of the city in all the seasons, and where they can enjoy and relax in the hot spring bath of the resort. Kinugawa Onsen where this hotel is located is only about 2 hours away from Tokyo and is known as one of the best hot spring resort area of Japan. 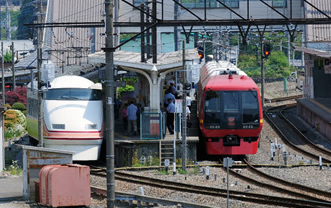 The area has reputation as a retreat for the people in the Tokyo area, thanks to its easy access from the area. Across the seasons, the visitors can enjoy the great nature of Nikko National Park and the historic world of the world heritage "Shrines and Temples of Nikko."